The tale of R. Stevie Moore, perhaps the most prolific musician that the world has ever seen. So why haven't you heard of him? Editor's note: Hey all, Ernie from Tedium here! So I'm happy to introduce David Buck, a first-time writer for the newsletter who's a massive fan of a guy you're probably not even aware of. He makes me excited about the guy, to be honest. Read on—tonight's piece is a total treat. And be sure to check out his list for newbies! Need a gift fast? 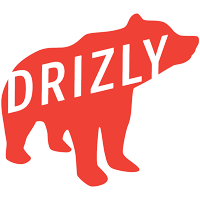 Order Drizly now and have beer, wine, or liquor delivered within the hour. Shop now and save $5 using the code DRIZLYDEAL. Wanna advertise with us? Click this link and all will be revealed. The number of vinyl copies of R. Stevie Moore's first official album, Phonography, that were originally distributed in 1976. One of those copies was rumored to have been owned by Frank Zappa, a noted champion of outsider artists who helped to bring The Shaggs, Wildman Fischer and other musicians to popular attention. This is, of course, apocryphal, but it's a neat idea and—given Zappa's musical interests—makes perfect sense. While Zappa's own unique brand of composition spread over 60 albums during his lifetime and over 100 albums posthumously, that number is dwarfed by Moore's catalog in sheer quantity. Moore has released more than 400 albums—either by himself or through a label—over the past 50 years. "You know a lot about my career," Moore told me during a conversation we had recently. We were discussing the various record labels his "official" albums have been on: Cordelia Records, New Rose, HP Records, Hamster, etc.… and I suppose that's true; it's my inner music nerd rising to the surface. If we put that in the context of my youth spent listening to as many episodes of The Dr. Demento Show as possible and meticulously curating a collection of comedy, novelty, and outsider albums, it makes sense. I first heard about Moore via The Dr. Demento Show. I don't think I would've discovered his music otherwise. Sure, I sometimes come across great artists by happy accident—for instance, I discovered Jonathan Coulton from an old YouTube video—but Dr. D was truly the catalyst for my decision to seek out Moore's work. 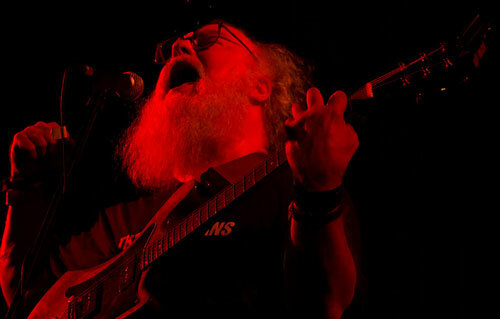 R. Stevie Moore was born on January 18, 1952. He grew up in Madison, TN. His father, Bob Moore, was the bass player for established acts such as Cowboy Copa, Johnny Cash, Roy Orbison, and Elvis Presley. Moore eventually became interested in music and began making his own homemade reel-to-reel tapes. He would then send these tapes to New Jersey, into the welcoming hands of his uncle Harry Palmer. Palmer put together his favorite tracks from Moore's reels to create the Phonography album. During this time, he recorded several albums, including R. Stevie Moore Reforms the Beatles, an all-instrumental album of Beatles cover songs. 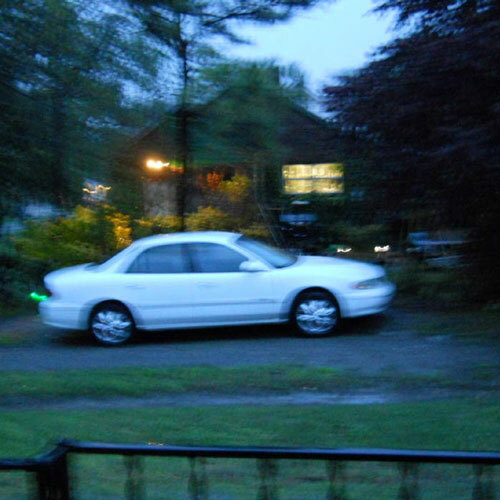 Moore moved to New Jersey in 1978, got a job at Sam Goody and continued recording his wonderful, sonic experiments. Moore constantly recorded albums at home and was worked on making contacts in the music world, doing occasional performances, and appearing on public access shows—notably, The Uncle Floyd Show and The Scott and Gary Show. In 1984, Moore's friend Patrick Mathe released a compilation of the musician's work on his record label, New Rose. Dubbed Everything You Ever Wanted to Know About R. Stevie Moore but We're Afraid to Ask, it was the first of several New Rose albums. Glad Music, Teenage Spectacular, and Warning followed. Another album, What's the Point? was also released in 1984 on Cuneiform Records, that label's first release. Like Zappa, the prolific Moore spent years meticulously recording, releasing, archiving, and cataloging his work. Unlike Zappa, Moore's work is criminally neglected and relatively unknown, but well worth checking out. As Moore sardonically points out in the lead track from his Delicate Tension, he's a cool daddio: a man busy making music while everyone else does whatever it is they do. Through his "underground" career and do-it-yourself aesthetic, Moore would go on to receive acclaim for his work in several important music journals throughout the 70s and 80s, namely Trouser Press, but never seemed to attain the level of fame other, less prolific and dedicated artists had. The approximate number of albums in R. Stevie Moore's discography. Between 1968 and 2017, he's released over 400 sound recordings/albums. In fact, he released two new albums during the writing of this article. The "400 albums" figure is derived from the entirety of his output, including his homemade Cassette Club releases and his officially released LPs/CDs. For the uninitiated, the arduous task of simply selecting an entry point can be daunting, so we've taken the time to curate a list of our favorites to help the new listener. 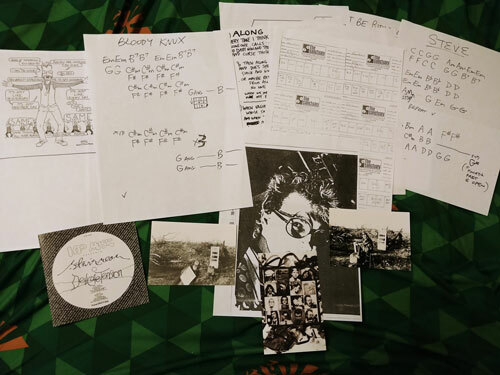 A collection of the author's R. Stevie Moore memorabilia. If one were to ask Moore what his favorite album is— encompassing his own work or otherwise—the reply would be one of nonchalance and dismissal. Moore states his stance on the concept of variety often. He doesn't like to rank things and considers most of his work to be a free-form audio diary. Listening to his music reinforces this perspective constantly. 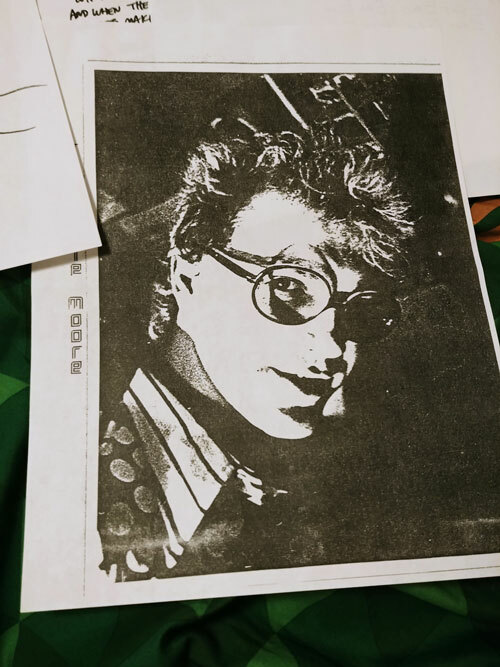 As a DJ on New Jersey-based WFMU, he held true to this virtue between 1981 and 1985 and continues it in his work today. In 1982, Moore established the R. Stevie Moore Cassette Club, which currently lives on as a Bandcamp page. This effectively catalogued and curated his music into easily obtained cassettes. The idea was simple: customers could send him a few dollars and he would send them a cassette. Moore kept busy running his own mail-order business for several decades, before abandoning the practice for the most part in recent years. The Cassette Club ran concurrently with some of Moore's "official" releases—the ones put out by labels for public consumption—so some of what consumers will find on say, Glad Music, is available on other releases, like Delicate Tension, Drumdrops, or Games and Groceries. Around 1997, Moore converted his catalog to CD-R and eventually, completely digital. Lately, UK-based Cordelia Records is re-releasing many of the "official" albums. "Buy 'em," Moore says. For best results, new listeners should start with the albums Glad Music, Teenage Spectacular and Warning. I feel as if those are the most accessible, fun albums, that all weave together to give an accurate representation of Moore's work. They may not be intentional examples of conceptual continuity—at least Moore says they're not connected that way—but they're thematically similar and invoke some of Zappa's works in that aspect. After thoroughly listening to those albums, checking out his website will yield hours upon hours of music, video, quirkiness, history, and trivia. Moore's work is like a buffet for different tastes and there truly is something for everybody. What I find most interesting about Moore's work is not the sheer quantity of it, but the way in which he curates and archives it. "I'm an archivist of my own work," Moore states both during a 1988 interview on The Uncle Floyd Show and in numerous interviews since. His website is a testament to that fact. He has a record of basically everything, going all the way back to his original cassette club membership logs. In recent years, he's caught the attention of many, thanks to the internet. Thanks to his own meticulous curation of content, a plethora of information is available on his site. I still haven't found the time to peruse it. This was also his last appearance on The Uncle Floyd Show and a few years later, he would no longer be on New Jersey's WFMU free-form station. He doesn't really talk about that, but it's obvious from his work that he's passionate about free-form radio. — Dr. Demento, host of a the weekly Dr. Demento Show, a radio program that features "mad music and crazy comedy from yesterday, today and tomorrow." The show was on the air for over 40 years, before switching to an online stream, where it continues today. Dr. Demento introduced the world to "Weird Al" Yankovic, Barnes & Barnes, Devo and many more. Ever the champion of the underdog, he's featured R. Stevie Moore's music on the show several times over the years, featuring him on the now-defunct Dr. Demento's Basement Tapes series and performing live with him in 2004. When dja Get Back?, R. Stevie Moore's latest album. Moore releases albums constantly. In the past year alone, he's released several albums: Make it Be (w/Jason Falkner), Hash Antagonist, Glad Music (Bonus Disc 2), Falkner Moore—Guitar Interples EP, Sophisticuffs and just a few days ago, When dja Get Back? Each of these is unique from the others and range from guitar experiments, to percussive weirdness, all the way to a one-person sketch show. He's even working on a book of poetry entitled, Emphasis Mine. Moore has a small, but dedicated following, with fans like Ariel Pink, Jason Falkner, The Lemon Twigs, Jad Fair, David Shrigley, and the band MGMT. Some of his other fans have taken a cue from the man himself and started making documentaries about Moore's life and career. Two documentaries about R. Stevie Moore already exist on YouTube, hosted on his own YouTube accounts. The first of these, Tape to Disc and I'm a Genius, (And There's Nothing I Can Do About It) were both published in 2012. Another documentary, Phonography: The Technical Difficulties of R. Stevie Moore seems to be an abandoned project with an IMDB page. Both offer a glimpse into the creative and personal lives of R. Stevie Moore and are well worth checking out. A third documentary, titled Cool Daddio: The Second Youth of R. Stevie Moore, was successfully crowdfunded on Kickstarter in 2015 and will most likely be the most in-depth documentary on Moore yet. It's still a work-in-progress, with no release date yet established. Until then, why not check out some of Moore's merry melodies? You can find everything you could ever want or need at his Official Office or Bandcamp page. One of Moore's recent albums, Nobody Pays Me Much Mind Til I'm Gone, received a limited cassette run on Doom Trip Records, bringing his legacy as a cassette pioneer full circle. Cassettes are experiencing a resurgence in popularity and it only makes sense the godfather of home recording be at the forefront of the return of the format. It's interesting to note that Moore no longer releases his albums on cassettes—nor are cassettes available from his online store—but he is still a major figure in the format's life. Fast forward to today and we see Moore continuing to create his unique sound diaries and influencing an entirely new generation of DIY musicians, many of whom are taking after our hero and self-releasing their own albums on cassette. Movies like Guardians of the Galaxy have played a role in bringing the cassette back into prominence and some people believe cassettes are the new vinyl. The format definitely seems to be enjoying a renaissance of sorts, being a popular physical release format on Bandcamp as well as being the format of choice for bands like Gunship, if only as a limited-time only promotional tool. A friend once told me the reason why cassettes are coming back is because all of the folks who go to concerts only have tape players in their old, used cars, so it makes sense to sell them at the merch table. I'm not sure about that, but I do know that whenever I think about cassettes, I think about R. Stevie Moore, the Godfather of Home Recording, Pioneer of Cassette Culture.